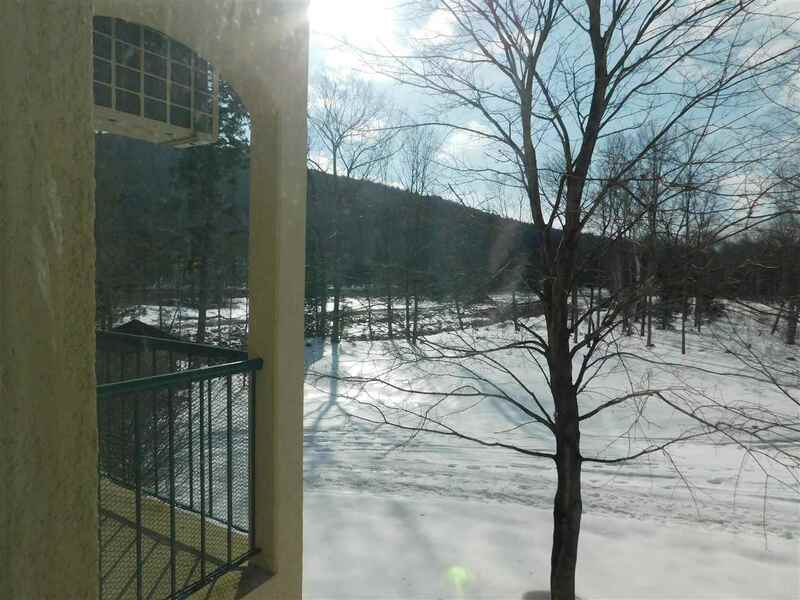 Nice opportunity to purchase a Rivergreen Condominium, 2nd floor with lovely views of the Pemigewasset River. Located in the heart of ski country, adjacent to South Mountain. Two bedrooms, two full baths and south/southwest facing for lots of natural light. In excellent condition! One bed and bath is a lock-off suite for additional rental/privacy options. The spacious living room has a queen murphy bed to allow for extra sleeping space. Sit on the balcony and watch the river flow. On-site complex amenities include a video arcade game rom, Great room for large or intimate gatherings complete with a small kitchenette, indoor heated pool and jacuzzi with lots of pool seating, inside and out, screened in gazebo as well as common propane grills, on-site optional rental program, and so much more. Room 1 Dimensions: 8&apos;5" X 8&apos;5"
Madeline is a pleasure to work with. She had an extremely hard sell with my property, and she was tenacious. Her positive thoughts and attitude kept me motivated throughout the whole process. I highly recommend Madeline and can’t wait to work with her on future sales. What a day, closed on my new home and condo at South Down Shores/Long Bay in Laconia NH. Could not have been happier with Susan Hammond and the great job Hammond Wheeler Realty did getting the job done. Of course this is not the first time they helped us selling or buying homes. This will be number six for us with Susan and Kate. They did such a great job in Waterville NH helping us with our residence and 4 income properties. Kate knows WV and is well-regarded by everyone in the area. She knows what issues to anticipate and has solutions at the ready. She is straight-forward and smart and has an inexhaustibly good attitude. Kate was recommended by several friends for whom she served as buy-side and sell-side broker. We did not know her before the process but have gotten to know her quite well through the process and look forward to seeing her in town.